Maybe you don’t need a new instrument, but an overhaul of your favourite guitar. Rather than spending hundreds, if not thousands of dollars on a new rig. I can show you how to wring out the best sonic quality from what you already own in my step-by-step guide, Total Guitar Setup. Uncle Randy here. 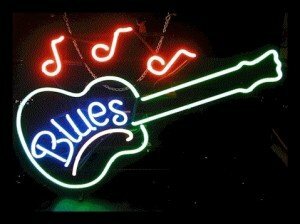 Since the mid-sixties, I’ve been playing guitar and bass professionally. Because I could never afford a guitar tech to establish and maintain my treasured instruments, I was forced to learn the secrets of keeping my guitars in top playing condition, regardless of temperature, humidity or location. You know what I’m talking about — those emergency situations on the road. Yes, anyone with basic hand tools and minimal mechanical abilities can finally learn how to do a simple guitar repair or bass as well. Have your instrument in the best playing condition and keep it there. By following my steps, in order, you’ll find your guitar, whether it’s an acoustic, electric or bass, a real joy to play. 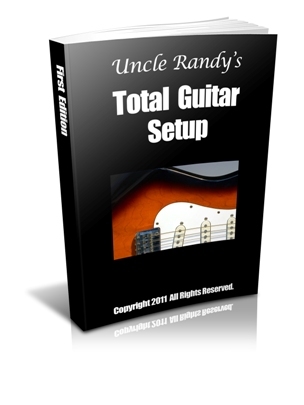 You’ll also find Total Guitar Setup to be an invaluable resource when purchasing a new guitar or bass. You’ll feel confident by knowing exactly what to look for in a new instrument, and you’ll avoid buying a lemon. Believe me, not all new guitars are setup properly (or even manufactured correctly) in the factory! When you purchase Total Guitar Setup, you’ll also have exclusive, private access to my the guitar Forum, which I personally administrate. You’ll be able to share your experiences and questions with other members, and I’ll chime in whenever the need arises in order to keep things on-track by offering continued, direct and personal guidance. I even offer an open-registration, affiliate program for Total Guitar Setup. So if you really can’t afford to pay the rock-bottom price (see details at the link below), all you have to do is join as an affiliate and sell just 3 copies. You’ll more than cover the cost of your own, personal copy, and pocket a few bucks too!